You said... it's a storage room, right? It's time for you to see what's inside. So... your proof is in there? There are many things to look at here, and we'll start with the mundane. 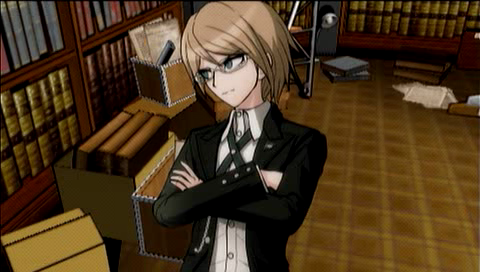 That desk lamp on the floor looks familiar. 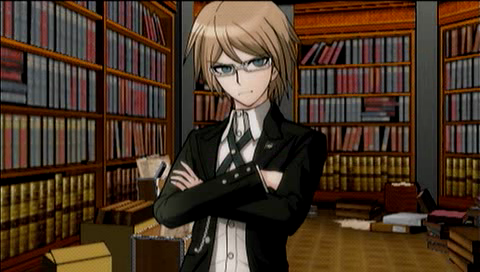 That's right -- it look the same as the one Togami-kun was using in the library. ...Is something wrong with this lamp? I found it here and took it into the library. It was dim in there, so it was very useful. Inside the wooden box... there was nothing. Was there something... in here? ...There was an electric extension cord inside. I took it to use in the library. If you're going to take a look at them, let me give you a single warning. 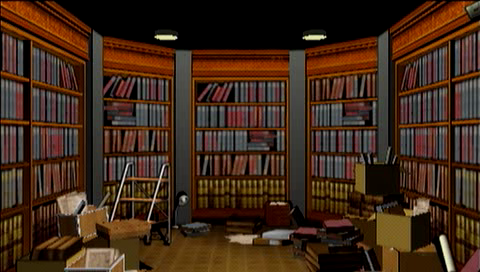 Many of the files on these shelves contain fresh pictures of various crime scenes. Huh? What do you mean...? 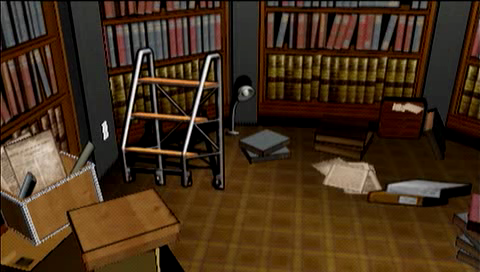 The files on this shelf are all police case files of unsolved crimes. 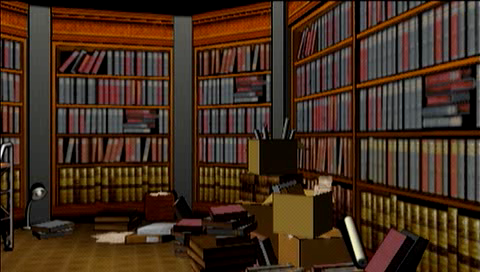 Are these... some kind of a data archive? 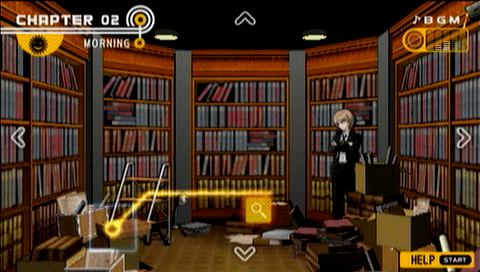 There are many files and booklets on this shelf. 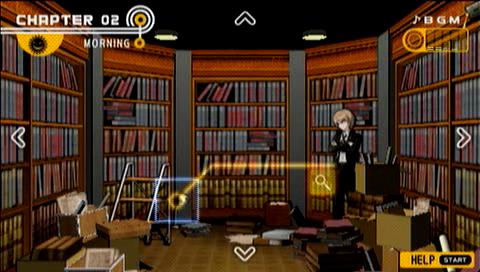 The material on these shelves... is dangerous. 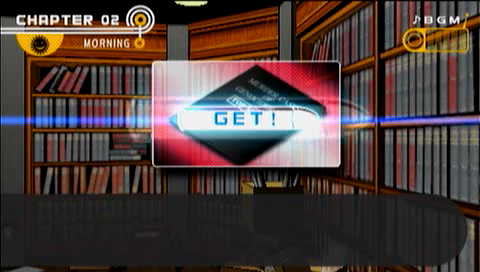 Are you telling me... these are files about politicians? ...No. 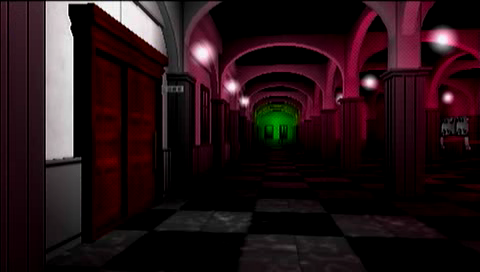 These are files about the "people in the shadows". The ones who really control things from behind the scenes. You'll have to find that out for yourself, if you dare. Finally, the shelves on the left side of the room. 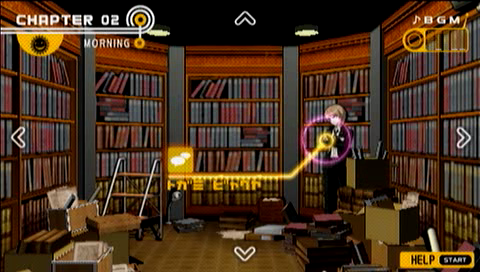 That's the case file for the assassination of a certain country's president. It's a photocopy of the real file from that country's state document archives. This file will be revealed to the public by law 30 years after the event. Do you want to look at it now? If you look at it... you'd know who was behind the assassination, wouldn't you? ...So what do you think? 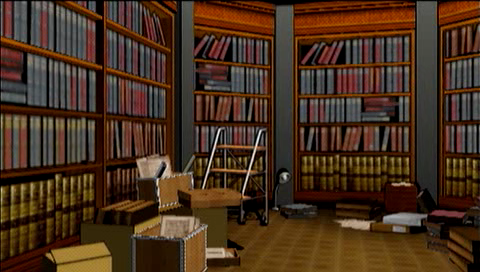 Do you understand the significance of this storage room now? 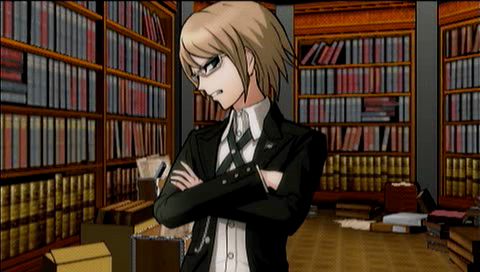 The reason I found this library interesting... is what's contained on those shelves. 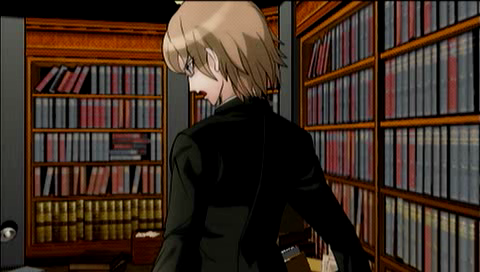 This place is full to the brim with confidential state documents, internal police files, and other such secret material. ...It's truly magnificent, isn't it? 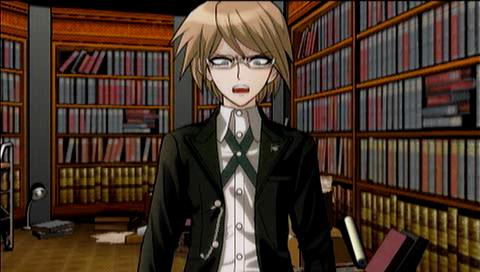 And also, there's a huge amount of files here... Who even has the means to gather all of them? What's wrong? You still don't believe it? Ordinary, common, simple... These kind of concepts do not exist anywhere in this world. His words... are painfully true. 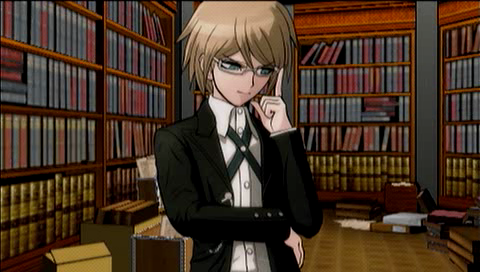 Furthermore, you keep judging things by the standards of your own common sense, don't you? 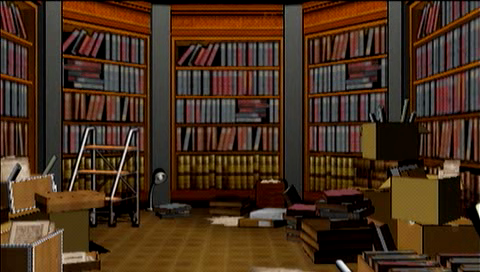 ...The files gathered in this room are undoubtedly real. I've seen them many times. It's true. W...wait a second! You've seen them many times...? 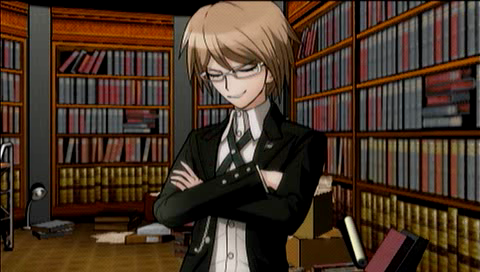 But... this is all confidential information! How did...? 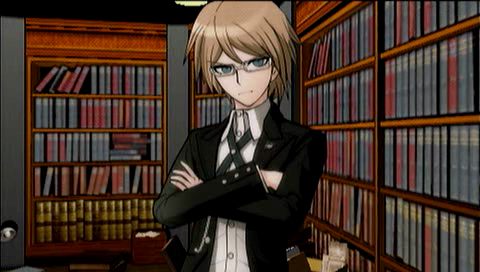 Members of the Togami family have open access to all sorts of state information. 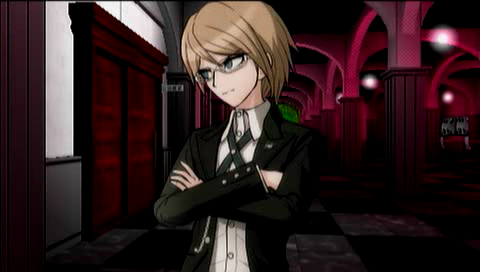 The members of the Togami family are among them. 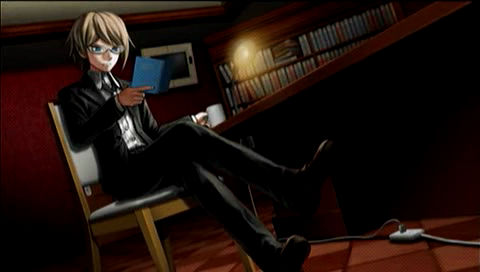 For people like us, a deep knowledge of both the public and the hidden world is required. That's why I always read through documents like the ones here whenever I had free time. And That's why I can say with confidence, the files in this room are unmistakably real. 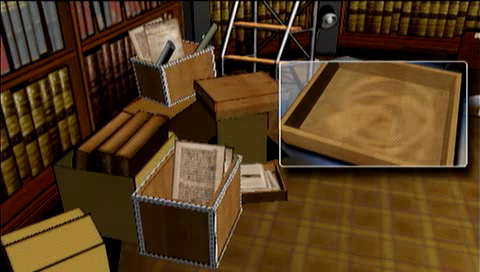 The files I were always most interested in were case files for unsolved crimes from the police. Since I was a child, I always found them fascinating. They are excellent exercise for the brain. Through the years, I even managed to solve more than one or two of them. 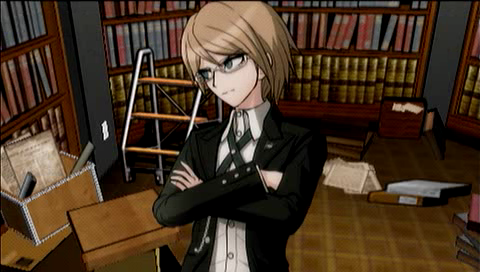 Everything known about the Genocider Syo murders is gathered here. There is a lot of information, so let me summarize the main points for you. 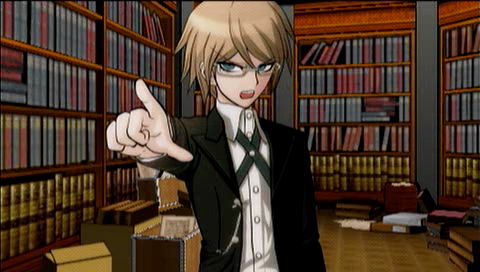 He always leaves the message "Bloodstain Fever" in the crime scene, using the victim's blood. If fits! 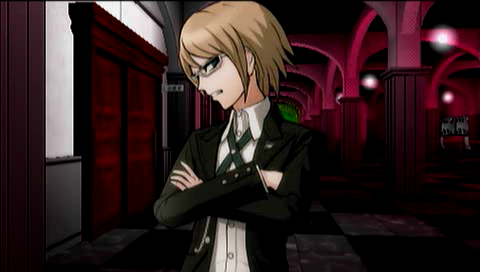 It's exactly the way Fujisaki-san was killed!! It's not yet time to be amazed. I haven't got to the interesting part yet. ...but the only people who knew about the crucification were top ranking police officers and the culprit himself. Her body was... most certainly crucified. ...Exactly. That is the problem. But the solution is exceptionally simple. 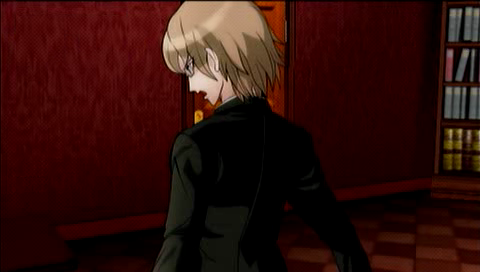 The culprit isn't a copycat killer... 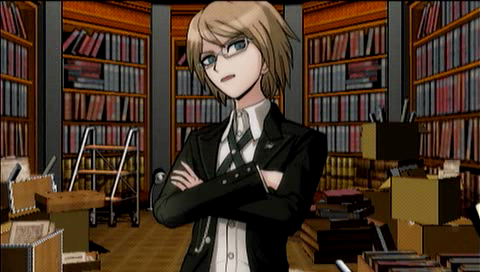 It's the real Genocider Syo himself. In short, this is my evidence. Genocider Syo himself is a member of our group. 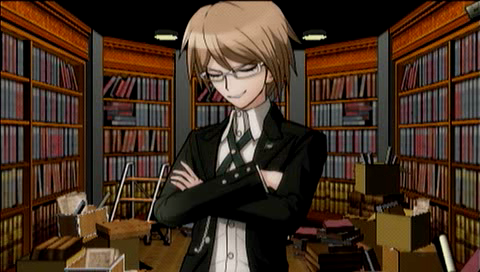 That kind of evil serial killer... is one of us...?! 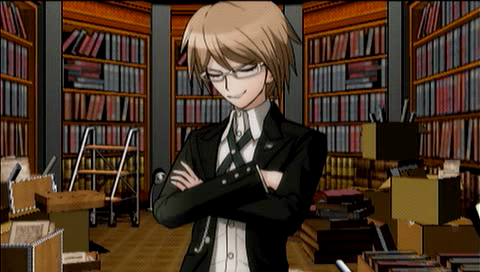 Heh heh heh... it just became even more interesting, didn't it? Naegi, Don't you also want to take a look inside this file? You may find other useful hints in there somewhere. I will allow you to look in it if you beg. 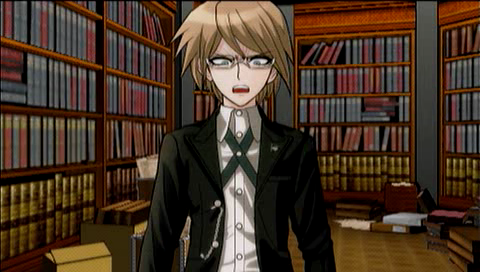 Naegi is never above begging. 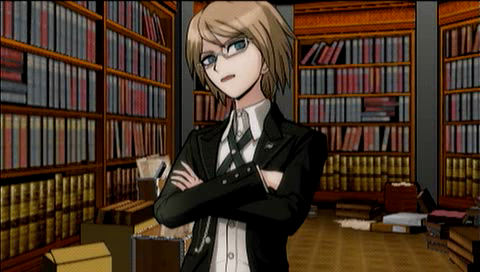 Um, Togami-kun... May I please take a look at that file? That... case file for the Genocider Syo murders...? That's not much of a begging, but... oh well, I'll just let you have it. As long as you don't take it out of this room, read it to your heart's content. ...Photos of some crime scenes were on display. 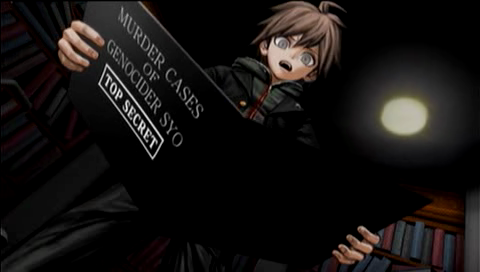 The names of the victims Genocider Syo killed were listed across many pages. Taro Komatsu, Takefumi Satono, Youji Okuda, Erio Takeda, Shu Tsuji, Naoji Ishi, Yoshito Yumejima... The list is endless. Every one of these many victims was killed by the same means, and was crucified in the same way. ...Take a look at the next page. There is something interesting written there. 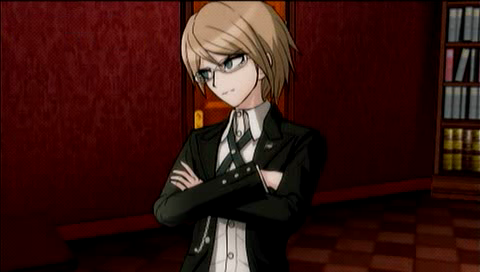 All the crimes were conducted on weekdays late at night... or on weekends between noon and evening. The more frequent of the two time periods was... midday on weekends. 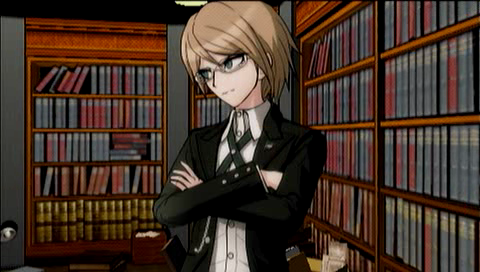 From the above, we conclude the culprit is a "student". Furthermore, there is evidence that the culprit stayed at the scene of the crime for a long time, but also that they escaped from it in a state of agitation. Since there were never any eye witness reports for the crimes, the culprit displays a pattern of doing so regardless of external motivation. 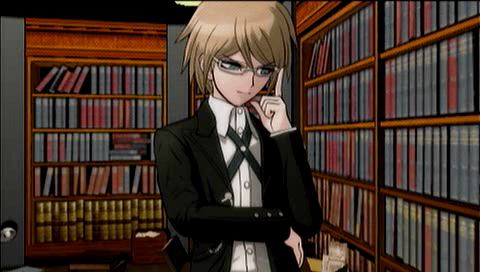 It's possible the culprit suffers from "Dissociative Identity Disorder"...? In layman's terms, that means it's possible the culprit has multiple personalities. Multiple personalities... doesn't that only happen on television? On these terms, this one is not so strange... Or am I just becoming numb? 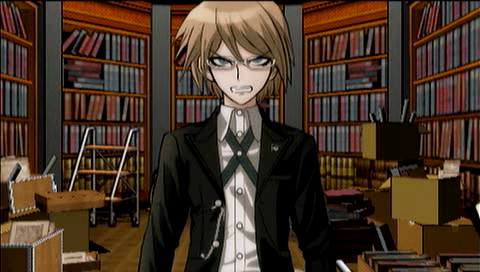 "Genocider Syo's case file" was added to your notes. Well, then, it's time for us to go. 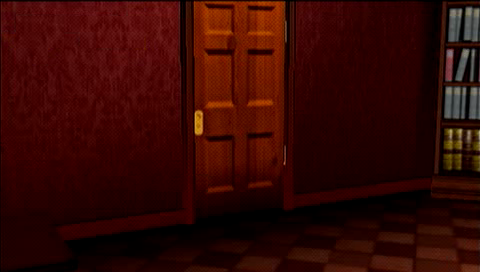 ...We're leaving this room. It's of no use to us anymore. 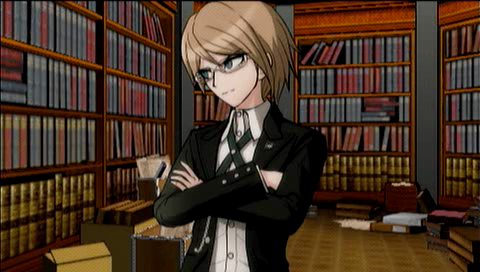 I chased after Togami-kun, who left the library without saying another word. Don't get any strange ideas. Did you think I'd let you tag along forever? Genocider Syo... he's the culprit who killed Fujisaki-san. 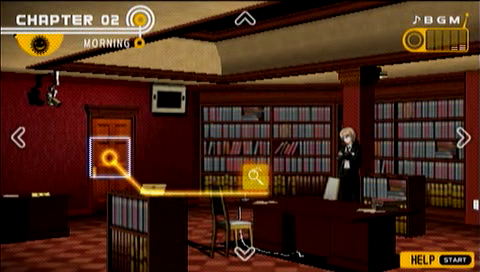 The rest of the investigation is not as linear, and we are free to discover the remaining clues in any order we want. But we will do so next time!